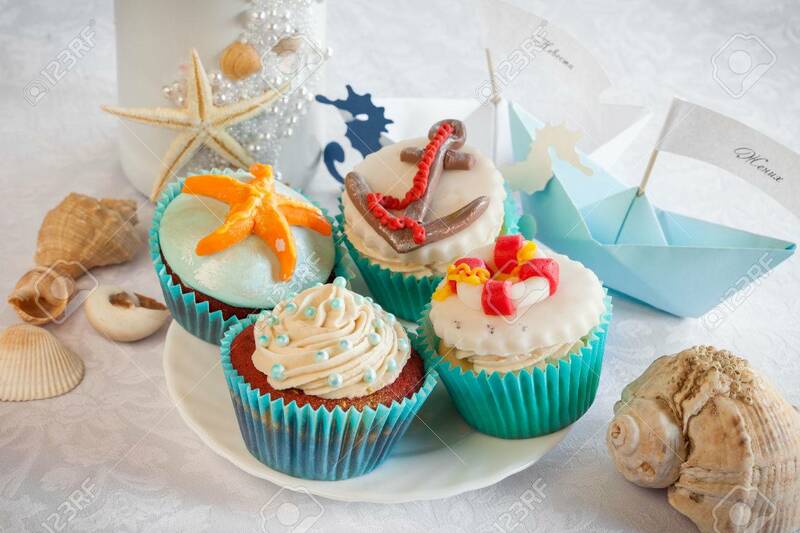 Wedding Still Life - Cupcakes In Nautical Style, Paper Boats,.. Stock Photo, Picture And Royalty Free Image. Image 41011299. Stock Photo - Wedding still life - cupcakes in nautical style, paper boats, vine bottle and sea shells on table. Wedding still life - cupcakes in nautical style, paper boats, vine bottle and sea shells on table.